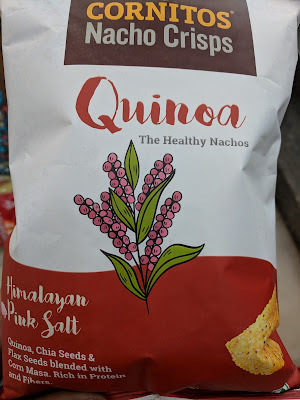 When a packaged food brand says quinoa on the front label, I get excited. Not because I want to buy it but I know I'll definitely have something to write about. All buzz words on the front side - quinoa, chia seeds, flaxseeds, himalayan pink salt, high protein, high fibre etc. But turn to the back side of the pack and the truth unveils itself. Only 10% is quinoa. 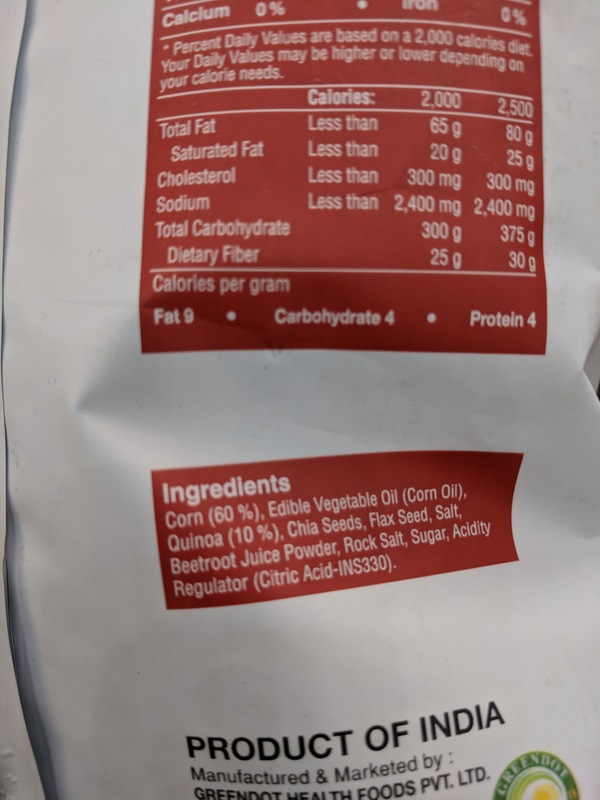 Yes, it is printed in the ingredients list, just that not many of us care to read it. Chia seeds and flaxseeds follow quinoa, which means they are less than 10%. 60% is corn. 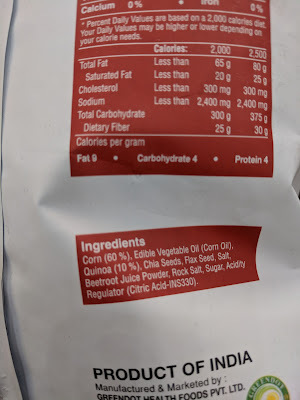 The oil used is refined corn oil. How different is this from regular nachos? What about high protein, high fibre? Well, the answer is there in the nutrition facts table. One serving contains ONLY 3 gm of fibre and 2 gm of protein. This shows the pathetic state of regulations in our country. Brands can claim anything. We as consumers need to be vigilant about these tall health claims. Let's not fall blindly for quinoa, chia seeds, avocado or any other hyped up foods. Yes, I'm talking about millets too. Many brands use ragi to portray themselves as a health brand. Read, read and read the ingredients list.